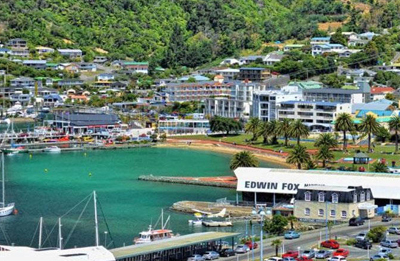 A fun-filled self-drive holiday is guaranteed with Kiwi Autohomes Motorhome Rental New Zealand. Select your preferred driving holiday experience from the amazing array of contemporary 2, 4 and 6 berth campervans. 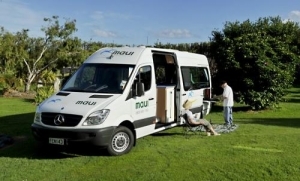 Rest assured that there are no hidden costs when you avail Motorhome Hire from Kiwi Auto Homes. The friendly staff will assist you for a memorable New Zealand motorhome vacation. New Zealand's delightful destinations are ideally explored in utmost style & comfort in Kiwi Autohomes Motorhome Rental New Zealand. This 2013 Ford Transit Motorhome Rentals NZ boasts of impressive features such as Power Steering, Dual battery system 12v, Manual Transmission and 2.4L Turbo Diesel Engine. Added conveniences include Gas hobs/grill, Dual rear wheels, 4 Berths: 2 Doubles or 1 Double 2 Singles, 240volt power, Roof vents, AM/FM radio/CD Player along with Linen, bedding, and towels, Fridge/freezer, Cutlery/crockery, Microwave, Air conditioning in cab, Gas heating, Cooking utensils, Waste water storage tank, Pressurised hot/cold water, Gas hot water, Insect screens and Shower/toilet. The Length of Concord Motorhome is 6.2m, its Width is 2.25m, inside height is 1.95m and outside height is 3.2m. Single Bed sizes are 1.85m x 0.70m and Double Bed sizes are: Front 2.00m x 1.25m while Rear measures 2.15m x 1.85m. Select Esprit Motorhome Hire NZ if you are taking a trip with two adults and two children or 2 to 3 adults. This purpose built motorhome with 3 seats in the drivers cab boasts of first-rate facilities and has lots of room for a comfortable journey. This vehicle also has a full wrap-around rear lounge area for added comfort while travelling. This can be configured as per your requirements into a huge double bed or two good sized singles. This 3/4 Berths 2006 Mitsubishi Canter model has first-rate features such as Manual Transmission, AM/FM radio/CD Player, 240volt power, Dual rear wheels, 3.0L Turbo Diesel, Power Steering, 12v Dual battery system, Roof vents, Linen, bedding, towels and Gas cooker/grill. The Length of this motorhome is 5.24m, Width is 2.1m, inside height is 2.01m and outside height is 2.10m. Additional conveniences include Gas hot water, Pressurised hot/cold water, Gas heating, Microwave, Cutlery/crockery, Shower/toilet, Fridge/freezer along with Cooking utensils, Waste water storage tank, Insect screens and Air conditioning in cab. Doubles Bed sizes are 1.42m x 2.1m, 1.14m x 2.0m and Singles Bed sizes are .65m x 1.9m. The state of the art Riviera motorhome for hire is a spacious vehicle which can comfortably accommodate families or travelling groups up to 6 people. Take a trip around NZ in this comfortable vehicle with the alternative of three large double beds. Four fully approved baby/child seat belt restraints are built into this motorhome and are positioned behind the drivers cab. Entry and exit is a breeze in this vehicle due to the full walkthrough from the living area to the drivers cab. The Riviera motorhome also includes a free of charge LCD TV/DVD. Some of the extras fitted in the motorhome include Solar panels, a large fridge and diesel fired central heating. This amazing motorhome is equipped with added power and is based on the latest 2.5l 5 cylinder turbo diesel engine vehicle from VW. Added comforts comprise electric mirrors, adjustable seats and air conditioning. Amazing features of the 2008 VW Crafter model include Manual Transmission, Power Steering, Up to 6 Berths, Dual rear wheels, Linen, bedding, towels, AM/FM radio/CD player in cab and Gas hobs/grill/oven/rotisserie. Added features include Fridge/freezer, Microwave; Diesel fired central heating, Gas hot water, Pressurised hot/cold water, Cutlery/crockery, Insect screens, Cooking utensils, Shower/ cassette toilet/ hand basin, Air conditioning in cab and Waste water storage tank along with 2.5L Turbo Diesel Engine, Dual battery system 12v, 240volt power and Roof vents. The Length of Riviera Motorhome Hire is 7.5m, Width is 2.2m, inside height is 2.0m, and outside height is 3.1m. Doubles Bed sizes: Dinette 1.23 x 1.95, Rear 1.48m x 2.16m and Over cab measures 1.40m x 2.16m. Book this luxury Motorhome Hire at the earliest for a memorable trip around New Zealand. You will receive the Volkswagen or Mercedes 6-berth model depending on the booking.